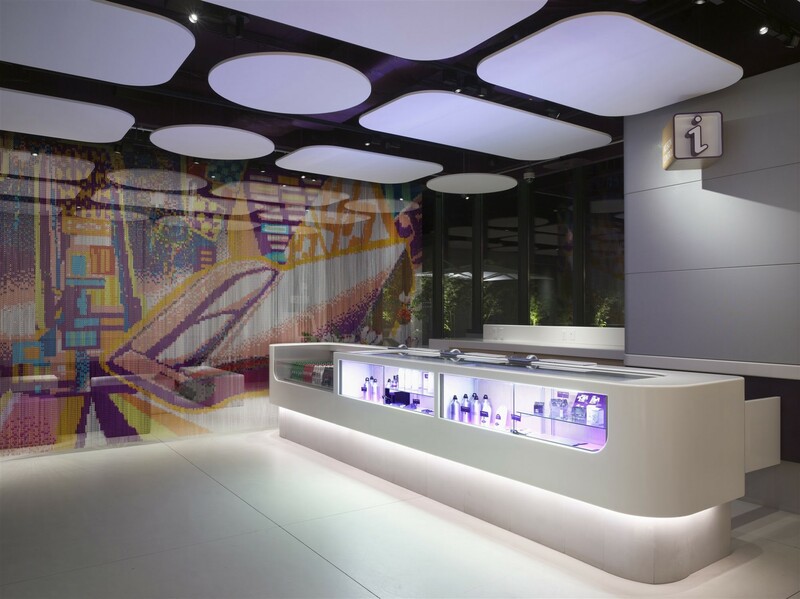 Located at the edge of Times Square, Yotel combines Japanese capsule accommodation with first-class airline cabins with a flexible an ergonomic hotel experience. 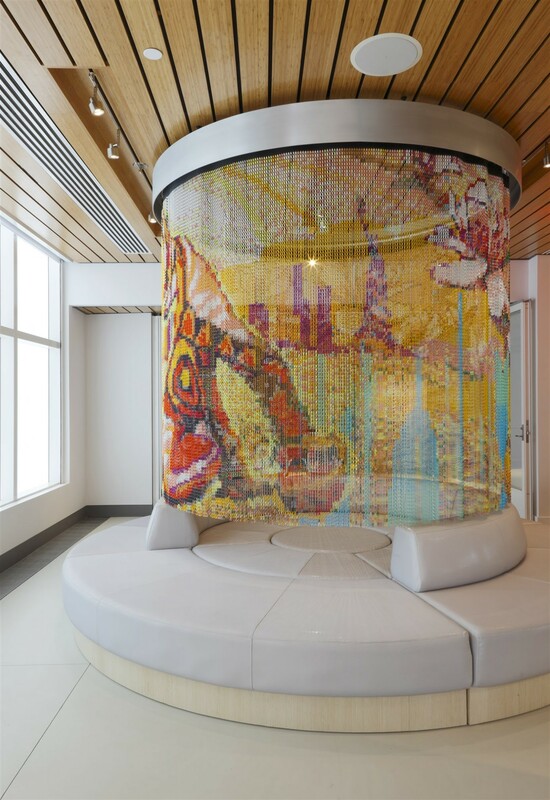 The overall vision of the designers was to create technologically sophisticated and vibrant spaces, communicating a sense of fun, warmth and welcome to its guests. As an example, in the public area you can find two space dividers by Kriskadecor with unique colourful patterns: the first one is a curved solution, a surprising option to create intimate spaces. The second, a straight and mobile curtain that separates two environments but also allows a single space once collected. Also, at Yotel you can meet the world’s only robotic luggage concierge, a huge mechanical arm that keeps your luggage.